"It Kind of Speaks for Itself!' 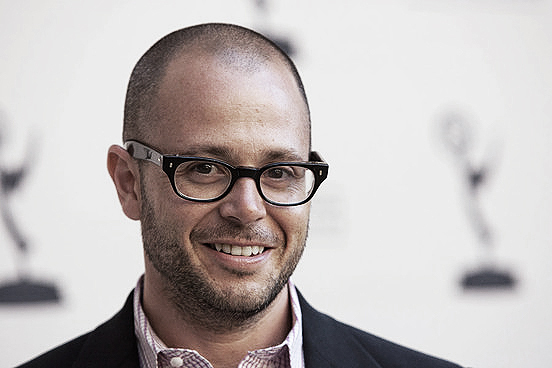 Damon Lindelof Talks 'PROMETHEUS'! 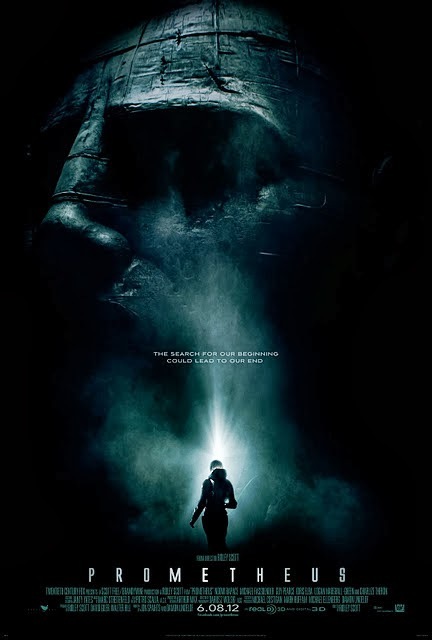 Last week Damon Lindelof gave an interview to HeroComplex who were -if one was to specify very curious to hear the writers thoughts since he had come in & polished Ridley Scott's script for Prometheus, his epic return to Science Fiction. Scott's previous forays, Alien & Blade Runner still stand out as two of the most influential films ever made within the genre. Lindelof, whom of course has an innate yet privileged familiarity with abstract tailored gesticulation opened his mouth & spoke. Hit the jump for the details. On the enigma of a prequel to Alien. Lindelof: "One part of me sort of wants to be working on something where I can say, ‘This is exactly what this is’ without being secretive or mysterious but I think that with the genesis of this a couple of years ago — when Ridley announced that he wanted to make an ALIEN prequel — that’s where this began and where it’s evolved to is this conversation: Is it or isn’t it [an ALIEN prequel]? And I think this little sort of dance that we’re doing basically existed prior to anybody seeing anything. Now that people are seeing stuff I think the material kind of speaks for itself. If you’re looking at it through the prism of ‘I want it to be that,’ you’ll notice the way the word PROMETHEUS comes up [in a way that resembles the ALIEN classic logo] or look at the production design and the way the whole thing feels. If you’re looking at it from the perspective of wanting it to be something more original, I think the trailer accomplishes that by being pretty cool to people who have never even seen ALIEN." On the use & misuse of mystery. Lindelof: "It’s accomplishing what we set out to do. I wish that we didn’t have to be so mysterious about it but mystery can be a good thing as long as you’ve got the goods to back it up. In this case, when the movie arrives, one of the most visionary filmmakers in the history of cinema will be putting his cards on the table and I’m just kind of standing behind him with my arms folded." The stature of the collaboration. Lindelof: "The big surprise has been how collaborative he is. There are some people that, no matter where you eventually get to in your own career, you’ll always look at them as giants and Ridley is on that very short list for me. Steven Spielberg is on that list and George Lucas is on that list and Ridley is the third part of that holy trinity of filmmakers who made a massive impression on me. When I first got the call that he was looking for someone to come in and take a shot at this, it was overwhelming just to be in the room with the guy. But he really was interested in what I had to say and he really cared about what I had to say; he was really interested in doing something new." Lindelof: "This is a guy that’s been away from this genre for almost 30 years so the idea of coming back to it and just playing the old hits was not really interesting to him. He wanted to make a new album that [lived up to the U2 collection] ‘Joshua Tree,’ but had an entirely different vibe to it. The first couple of meetings was me just sitting there listening to him talk so I could get a sense of what he wanted to do and there were some out-of-body experiences at subsequent meetings where I realized, ‘I’m talking right now and Ridley Scott is listening to what I have to say and this stuff might actually end up getting directed by him.’ It was pretty trippy." Prometheus stars Noomi Rapace, Charlize Theron, Michael Fassbender, Idris Elba, Sean Harris, Kate Dickie, Guy Pearce, Rafe Spall, Benedict Wong, Emun Elliott & Logan Marshall-Green. The 20th Century Fox movie hits theaters June 8th 2012. Scripted by Lindelof, Jon Spaihts & Scott. I'm reading: "It Kind of Speaks for Itself!' Damon Lindelof Talks 'PROMETHEUS'!Tweet this!